I think I would have to choose Katniss Everdeen from The Hunger Games. 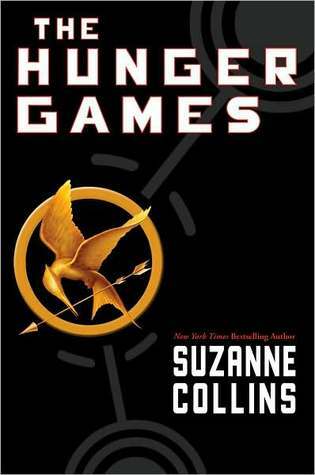 Katniss is introduced to us in this first book of the trilogy. I like how she is so strong in such horrible situations, yet she is still a girl, still a sister, still a daughter, still torn between two boys. I know I will have to see the movie when it comes out, though it makes me sad that after the movie I will always picture Katniss as Jennifer Lawrence. My rendition of Katniss in my head will be forever lost. This was another book I had purchased right before I began my MLS work which I didn't have time to read. When I took my Children's Lit. class, this was on the list. I loved it and read the next two between summer sessions over the long 4th of July weekend. 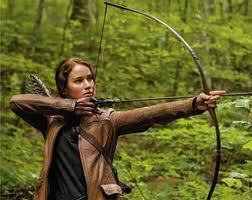 I chose Katniss for this challenge also. *sarcasm Who is this "Katniss" you speak of? I've never heard of her before. Don't worry, I'm a sucker for THG too. Happy reading! P.S. Congrats on completing you Goodreads challenge!